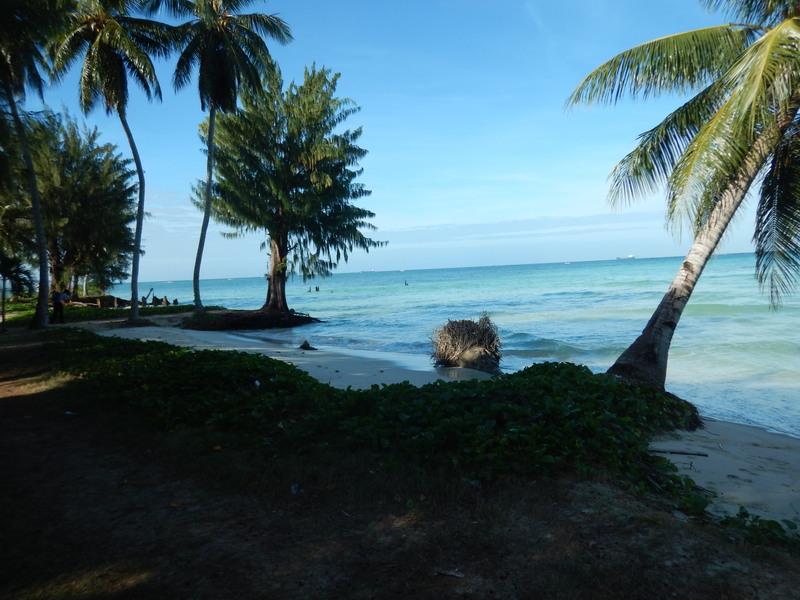 To better understand and anticipate where and how fast our beaches are growing and shrinking, DCRM has developed a shoreline monitoring program. 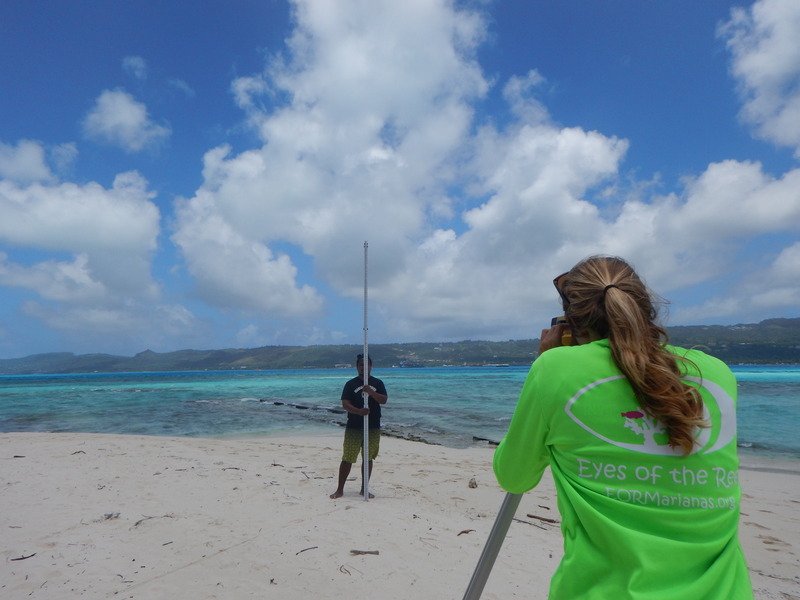 Bi-annual beach profile surveys are underway for 17 beaches on Saipan, 5 beach transects on Managaha, 2 beaches on Tinian, and 4 beaches on Rota. Using a combination of survey equipment and aerial imagery, technicians can identify, measure, and track areas of accretion (sediment gain) and erosion (sediment loss) over time. Changes in wind patterns, waves, currents, and sources of sand are the main drivers of shoreline change. In the CNMI, strong typhoons often lead to abrupt changes in the shape of shorelines. You can learn more about where, how, and why we monitor shoreline change with our Shoreline Monitoring Program Story Map. For more information, please visit the Shoreline Publications page. 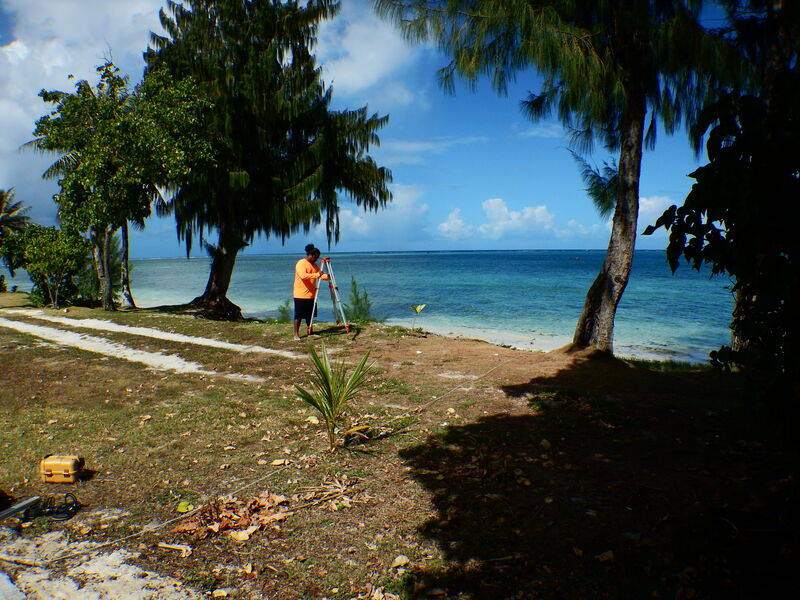 Shoreline Technician Sowm Kaipat setting up transect.